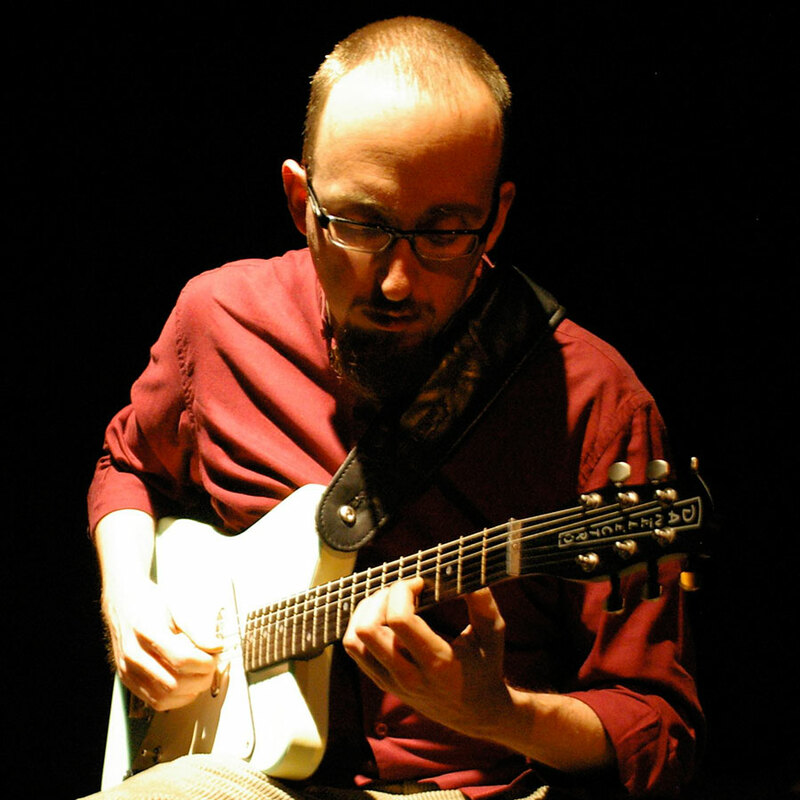 He studied, among others, with Mick Goodrick, Joe Diorio, John Scofield, Pat Metheny, Barney Kessel, Joelle Leandre, Carlos Zingaro, Jean Derome, Joanne Hetu, Marcus Stockhausen and Gianni Lenoci, with whom he achieved the university degree and a master’s degree in “jazz music and new musical languages”. He plays and studies some traditional musics and instruments (oud, portuguese guitar, irish bouzouki, turkish saz, etc). He held gigs in Italy, France, Switzerland, Spain, Portugal, Germany, Austria, Turkey, Russia, China; recorded about twenty-five cds for Italian and foreign labels (Leo Records, Ambiances Magnetiques, Splasc(h), etc), and played –among others- with Eugenio Colombo, Gianni Lenoci, Steve Potts, Stefano Battaglia, Paolo Damiani, Daniele Di Bonaventura, Pino Minafra, William Parker, Karl Berger, Kent Carter, Radiodervish, Raiz.